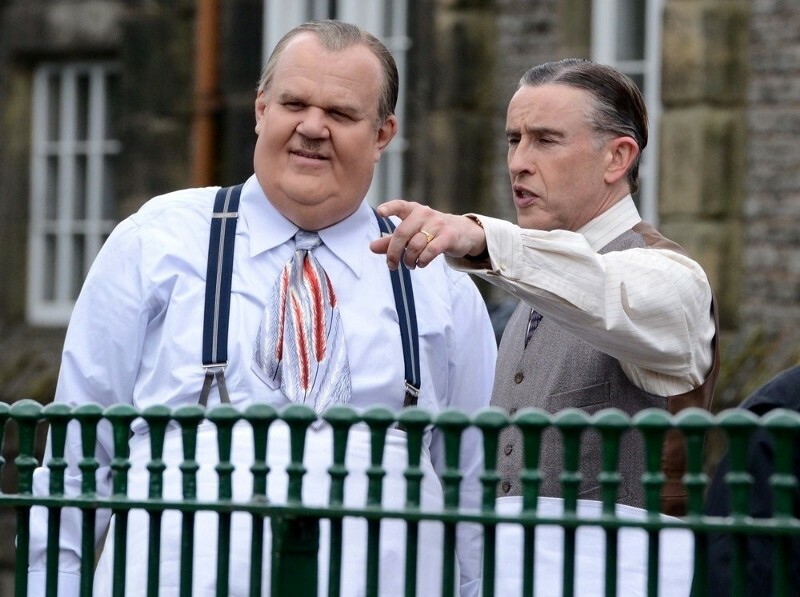 Imagine if ten years ago, Hollywood would have pitched you the idea of John C. Reilly, famous for Step Brothers, and Steve Coogan, British comedian famous for idiot Alan Partridge, in a biographical drama about Hollywood’s greatest double act Laurel and Hardy. It would seem far from real, even borderline insulting. Neither have ever critical acclaim or currently any financial backing from their cinematic offerings. Also consider the fact that John C. Reilly has just starred in one of the lowest ranking films of the 20th century, Holmes & Watson. Steve Coogan has never appealed to Hollywood or even much of the British public, often only known for annoying characters on TV. This film ultimately never looks or feels like a cinematic lesson we need or want to watch. It’s major attraction is the source material, Laurel and Hardy, the golden two of Hollywood’s modest beginnings. They will always be a good attraction to audience’s, due to the nostalgia of modern society and their fantastic comedic vision. So, how is this film? Actually quite lovely and I think that word fits it well. 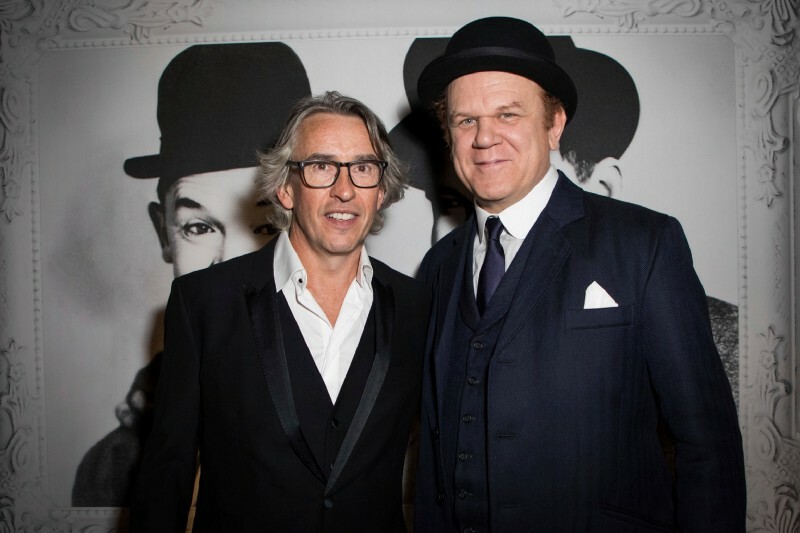 John C. Reilly isn’t a bad actor, he is Oscar nominated for Chicago and has appeared in ‘Gangs of New York’, ‘The Aviator’ and ‘Wreck It Ralph’ among other good films. His long time friendship with Will Ferrel has often associated him with some poor films but overall, he has a good CV. Grammy and Tony award nominated, with both Golden Globe and Oscar nominations, JCR does have some pedigree in success. Whereas Mr Coogan, originally famous for his role in 80’s cult classic ‘Spitting Image’ has never reached those heights. His comedic value has always been extremely high with roles in ‘Tropic Thunder’, ‘The Other Guys’ and ‘Night in The Musuem’, plus his famous ‘Alan Partridge’ series. Yet in 2013, marked a change in his dramatic performances. He co-wrote, produced and started in ‘Philomena’ which earned him two Oscar nominations, a BAFTA and Golden Globe nomination and others. While also making an appearance in Showtime drama ‘Happyish’. But with Stan and Ollie, both reach a performance standard neither have ever shown and it is a delight for all. The most innocent January film you will view this year, Steve and John allow the film to slowly move through its pace with the enigmatic script leaving little pauses and almost uncomfortably emotional moments of heart break and love across the two hours. You ultimately feel for them both, almost at the end of their career’s and lives, you want them to succeed but at the same time you are enjoying their conflict, because it genuinely feels real. It is not an easy thing to do in acting, to make you both love and hate a person but in both, you see a glimpse of both young and old Hollywood. The setting’s are dolce in texture, with ‘The Savoy’ looking as golden as always, but it is the acting of both leading males that remains the sweetest. This film never feels ground breaking, but I suppose that is the point of the tone of the film. It is meant to relax you and emotionally grab you, while never forcing its agenda. It is here to exist and to teach you, yet not make a point of telling you how you should feel. Jon S.Baird fantastically directs the motion of this well, with his exploration of romanticism in friendship and trust. The large theme of this film is trust and respect, how much can you have for someone who could have changed everything for you after giving them so much? The answer…well you will have to go see it.